Our Stainless Steel Whiskey Stone Set come in a Bamboo Case. In this set you will receive 9 Stainless Steel Whiskey Stones, ice tongs and a velvet bag all in a bamboo case. This will make a great gift. This stainless steel stone set is for the real whiskey drinker. Ice melts and dilutes your drink killing the whiskey flavors. Stainless Steel Stones are the perfect solution for this problem. They will love you for this gift. 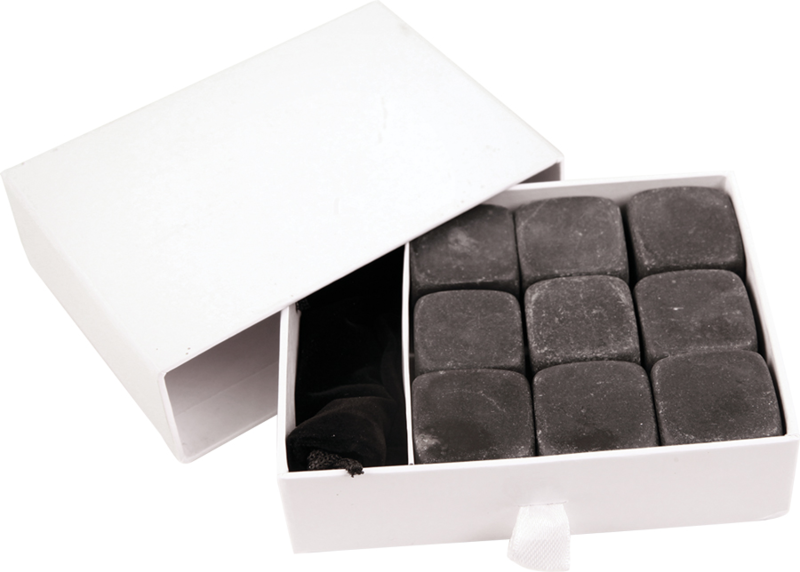 These Black Basalt Whiskey Stones are a nice gift. You will receive nine (9) black basalt stones and a velvet bag. All came in a white box for safe keeping.